Liz has been working in the special education field for seven years with children from ages 2 to 12. Before coming to Sand Hill School, she worked with children diagnosed primarily with Autism Spectrum Disorder at a learning center in San Mateo. This was where she realized her passion for special education as a Behavior Therapist and later a Case Supervisor. Liz truly enjoys helping children succeed and overcome their educational and behavioral struggles. In her free time, she enjoys cooking, reading a good book, and spending time with family. 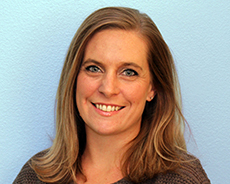 Liz earned her BA in Psychology from San Francisco State University and an MA in Psychology with a concentration in Child and Adolescent Development.